universal sensor with digital output. ОЕМ: board covered with a sealing compound. 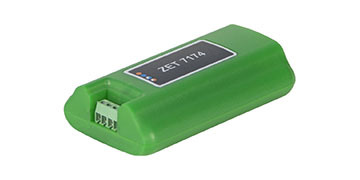 ZET 7180-V is installed as close to the sensor as possible (or built into the cover) and signal digitization is performed in close vicinity to the sensing element which decreases the noise corruption of the measurement result. The settings of the digital gauge are stored in the memory of the measuring unit which facilitates immediate start of measurements after powering on, without any need to set the measuring channels. 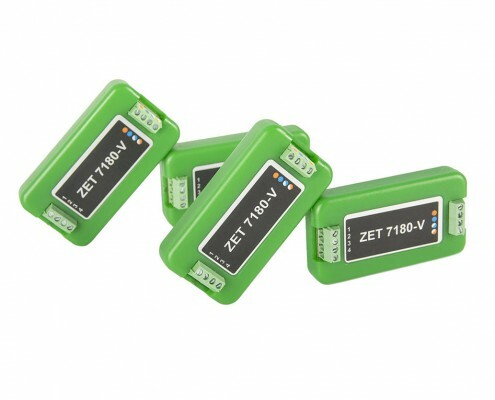 Measuring module ZET 7180-V together with voltage output sensor constitutes a digital gauge for measuring various parameters. 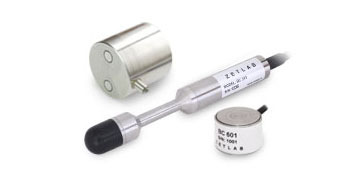 The primary transducer (voltage output sensor) converts a physical value to the electric signal while the measuring unit digitizes this signal and outputs the value of the measured variable in a digital form. The measurement results are transmitted via CAN 2.0 interface. The ZET 7180-V digital gauges can be used for building distributed measurement networks. 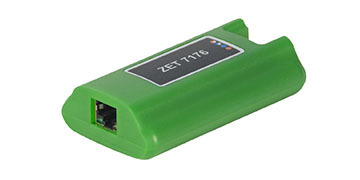 Interface converter is used for connecting the measurement network to ZETLAB and ZETVIEW systems. 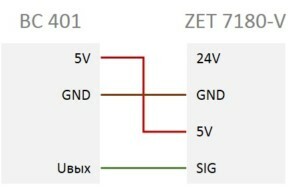 The ZETLAB software supports connection of up to 200 gauges to a single computer. 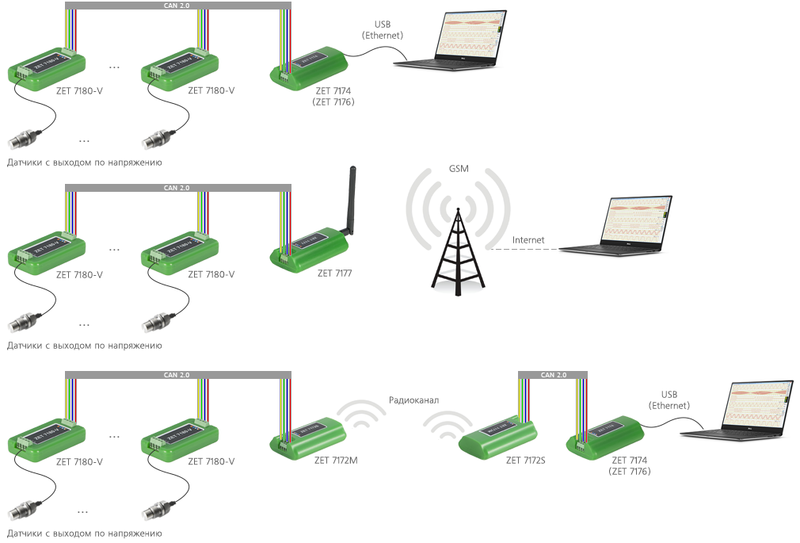 Measurement networks can also be connected to any system via CAN 2.0 interface. Digital gauge are configured in Device Manager software in the “Service” menu on the ZETLAB panel. Current measured value of the gauge (in units) – Within the measurement range Displays the measured value in the channel registered at the time of tab opening. 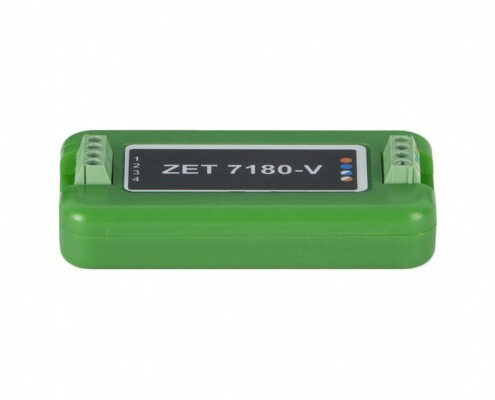 To configure the “Encoder” mode, initial data (“raw values”) must be measured by the ZET 7×80-V digital gauge; for that, set the “Output signal” parameter on the “Settings” tab to “0-10 V”. Then set the values of “Minimum measured value” and “Maximum measured value” in accordance with the selected mode (to “0” and “10”, respectively). It is necessary to determine the optical mark detection thresholds. 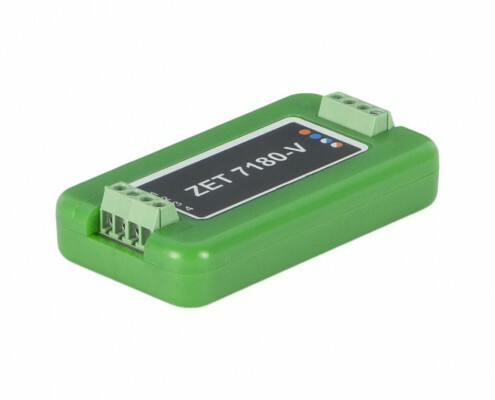 To do so, point the optical sensor at the mark and record the current value from the “Direct current voltage meter” software in “Upper threshold level” on the “Encoder” tab. Then remove the mark and record the current value from the “Direct current voltage meter” software in “Lower threshold level” on the “Encoder” tab. 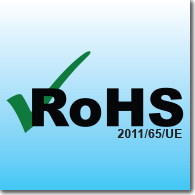 Note that the values must be checked because, if the value does not exceed the set threshold, the mark will not be counted. This means that the values should be set with a little deviation to ensure mark operation, with the noise and distortion levels being much lower to prevent false triggering. Alternating signal with frequency: 0.5 ± 0.01 Hz, amplitude: 0.4 ± 0.002 V, bias: 0.1 ± 0.0001 V, minimal signal control time – 5 s.
LE: «Required signal level»: «Signal level tolerance» – generated signal level. constant signal: 0.5 ± 0.001 V, minimal signal control time – 5 s.
AM: «Minimal value»: «Maximum value» – change range. stepwise change: for 100..200 units, minimal signal control time – 5 s.
MD: «Minimal change»: «Maximum change» – change amplitude. 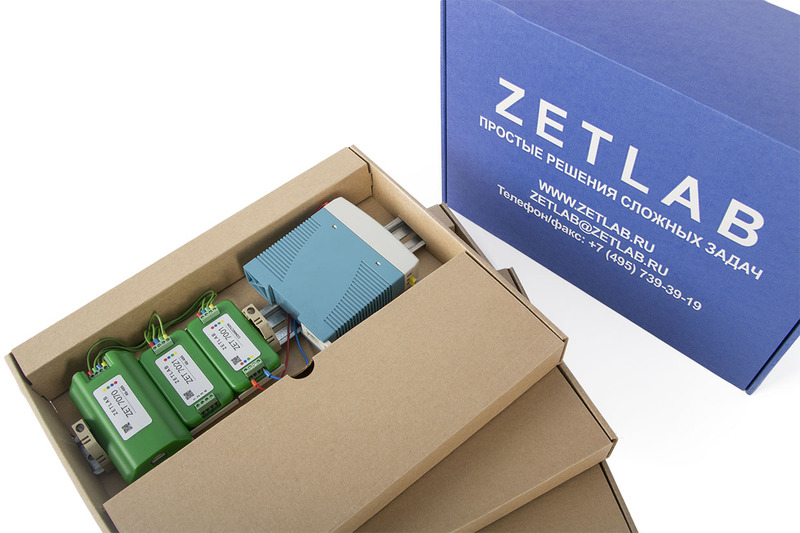 stepwise change: for 10..10.5 units in modulus, minimal signal control time – 6 s.
SP: «Acceptable counts deviation» – amount of counts before or after start of a second. Level change to be checked one time in a second. the change should take place in the beginning of a second, 2 counts. Device type is selected from the dropdown list. In order to select a device, pick an element with left mouse key and choose a device to be checked from the list. Use selector to set particular test. To set the test number click the number with left mouse key and set the required value by scroll. If the self-check is on, the selector will not be available until the user stops the project or the self-check is over. There is a key for start / stop of the process. The green key means that the diagnostics process is on, grey key stands for for idle state. Indicator is a timer showing the elapsing time of the current test. The countdown is started after beginning of any test. Test results are available in the log.